Tailwinds Bar & Grill | All Day Breakfast, Entrées, Shareables, Pizza and More! ➤ We have breakfast all day long! ➤ Become a member of the propellerheads club to stay in the loop on what's happening at tailwinds! 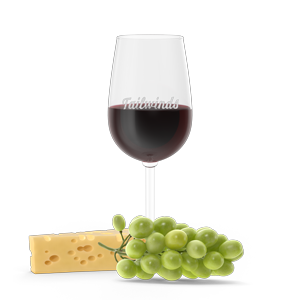 ➤ Ask your server about daily specials! 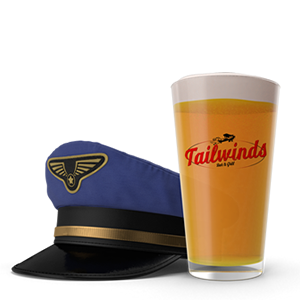 With a menu as delicious as our location is unique, Tailwinds Bar & Grill is the perfect place to come if you love aviation served up with a side of fries. We couldn’t be more honoured to receive this award and want to extend a huge thanks to all of our customers, vendors, friends, family and fellow aviators that went online and voted Tailwinds Bar & Grill as the Best Airport Restaurant in Canada! The best part is Tailwinds serves it ALL DAY. Hey, some times you just need pancakes and bacon for dinner! lunch items that will keep you full until dinner. adventurers before you hit the open sky. Delicious shareables to start your meal. Share with the crew or have all to yourself. SIGN UP NOW TO BECOME A MEMBER OF TAILWINDS PROPELLERHEADS CLUB! and any new developments at Tailwinds Bar & Grill. 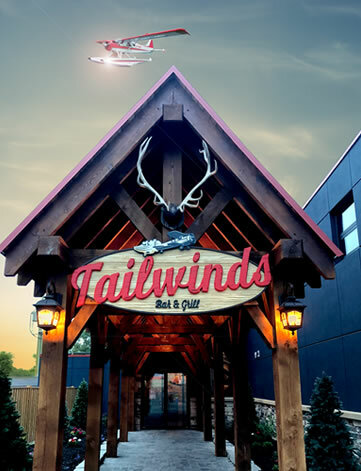 Tailwinds Bar & Grill is nestled on the shores Lake St John, ten minutes from Casino Rama. 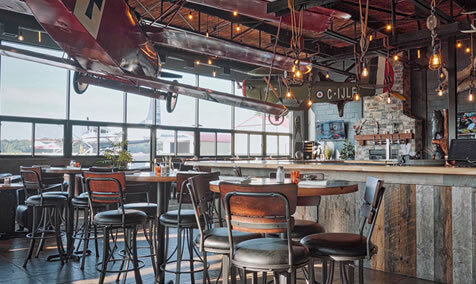 Considered the crowning jewel of Orillia Rama Regional Airport, our restaurant is the perfect place for aviation lovers to enjoy a pint and a meal while being entertained by the coming and going aircraft. Our unique location is also perfect to host any event – from weddings, private parties to corporate gatherings – our dining room, patio and the surrounding green space make for an unforgettable venue that your guests will talk about for years to come. Hey there! Let’s us know what you think of our place! Send us a message below and say hello or ask a question, we’re all ears and would love to hear from you! © Copyright 2018 Tailwinds Bar & Grill.